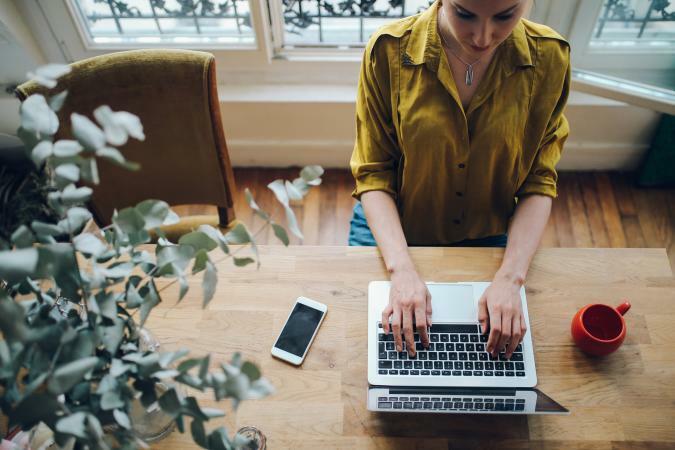 A compelling online portfolio is a 'must-have' in today's world if you want to be successful in finding freelance writing gigs. Putting together a quality portfolio can seem overwhelming, but it doesn't have to be. It's not as hard as it seems if you follow some best practice guidelines. A good portfolio will include your writing samples, of course. However, you should also include several other items to increase your chances of finding freelance work. Before you do anything, you need to decide what your targeted market will be for writing. Most freelancers focus on one or more specialties rather than looking for jobs as generalists. Likewise, employers are usually looking for subject matter experts to write articles, website copy, and more. You don't have to focus on just one niche but do try to narrow down your focus to a few subject areas that truly reflect your expertise. Your biography should give potential clients an idea of who you are, with an eye toward showcasing your experience in the niche(s) you want to write about. Providing personal information on hobbies or interests should be kept to a minimum unless these are related to your writing area. A biography should give a sense of who you are with some personality sprinkled in. It should highlight that you have the education and/or experience in your niche to be a strong writer on the topic. Your biography should also list previous experience that is relevant to the type of writing opportunities you are looking for. Include examples of previous professional writing assignments, as well as jobs that are relevant to your topic. For example, if you want to write legal articles and you have worked as a lawyer or paralegal, be sure to include that information. Some writers also include a page with a resume style list of positions or a PDF of a resume that prospective clients can download as needed. 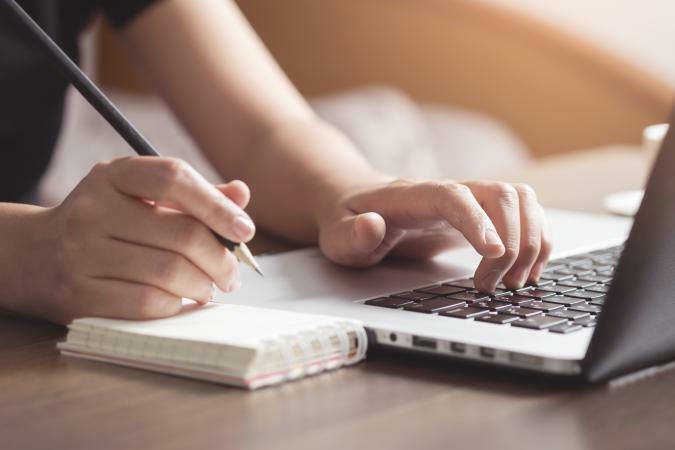 Some freelance writers include a page with their rates, services provided and any policies and procedures they require, such as down payments. The decision to include information on rates is a personal one, though it may not be the best idea if you are a new freelancer who is trying to break into the field. An advantage of including rate information is that it makes your compensation expectations clear, which can save you time dealing with potential clients whose pay scale is not sufficient. However, it may scare away potential clients with whom you might want to negotiate. Another optional section to include is one with client testimonials. Some writers feel their work speaks for itself, and so view testimonials as unnecessary. However, you should keep in mind that there is high competition for writing assignments. Many qualities aside from writing skill can help give you the edge, and testimonials can be a great way to convey such information. For example, client testimonials that indicate your ability to meet deadlines, understanding of SEO principles, and strong research skills can help you make a positive impression on those who view your portfolio. 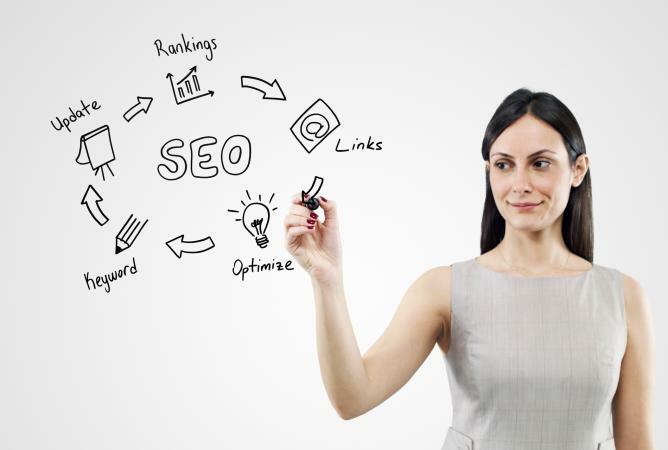 Knowledge of search engine optimization (SEO) techniques is a key skill required for writers for the web. Including a section detailing your experience with SEO is another way to strengthen your portfolio. Better yet, demonstrate your mastery of your SEO skills on your online portfolio and/or writer website. This can demonstrate to potential employers that you are an SEO Jedi. Of course, depending on how you house your site online, this may not be feasible. If that is the case, focus on describing your SEO acumen somewhere in your portfolio. Including a blog on your portfolio site is also optional. It can be a good way to showcase more of your personality while providing you with an outlet to write on different topics that might be outside of your niche. Alternately, you can use this type of blog to provide more writing samples on your chosen topic areas with possibly a different writing 'voice' than reflected in your formal samples. For example, your clips may focus on highly technical aspects of software development whereas your blog might feature articles about your personal experiences with coding, unique perspectives on the web development industry, and more. Providing your social media links allows potential clients to have multiple ways to contact you. If you are using social media effectively to promote your expertise, employers will also be able to see that you know your niche area well when they view your profiles. Additionally, if you have a following on social media in your niche area, this can help you stand out as a freelancer writer. Prospective clients may be drawn to the fact that you are 'known' in your subject area. Be sure your portfolio lists more than one way to contact you. This can include items such as your email address, phone number, Twitter handle, Skype ID, and any other form of contact that is relevant to your particular area of expertise. Pick the 'best of the best' examples of your work. Keep in mind that most clients are not going to spend a large amount of time reading through your clips. It's not necessary to list everything you've ever done, but it is critical to highlight truly outstanding examples of your best work. You can include a separate page that lists all (or much) of your work if you wish. However, if you do, be sure to guide prospective clients to the page with your top samples to save them time and keep from overwhelming them. Focus on your niche(s). You may have some published clips that you absolutely love that have nothing to do with your chosen area(s) of focus. As much as you love them, you should focus your top picks on ones that display your expertise to prospective clients. If you have more than one niche, separate them out into sections. Provide readable text. If your work was published online, it's easy to display the text by linking directly to the article. Some gigs will allow you to reprint the text of a piece entirely on your site. Check your contracts to be sure this is allowed first! Another option may be to include the beginning paragraph text of a piece with a 'read more' link that goes to the original URL where it was published. If your clips are in actual print magazines without an online version, you can display them as PDFs that can be downloaded and read. You can either scan the printed articles or check with the publisher as they may be willing to provide you with a high resolution 'clean' PDF of the article pages. What If You're Brand New? Do a Google search using the 'news' filter and look for articles in the last year related to your topic. This can give you an idea of what themes are of recent interest. Come up with a new angle for these topics, or choose one already written and write it in a different style. For example, a short listicle on how to cook with an Instant Pot could be turned into a more detailed step-by-step article on how to use it with a recipe. Or, if you're looking to target listicle-type jobs, do some in-depth research on a topic and create a unique article in list format. Ask friends, family or co-workers if they could use some copy for a website or business in exchange for letting you post your work on your portfolio. Chances are you won't have any trouble finding people to take you up on this offer. Look for local non-profits or small businesses that could really use some help on their websites, such as fine-tuning their language, employing SEO techniques, or creating a blog to get more traffic. In exchange for your work, you can get a testimonial, some experience, and some 'live' clips for your portfolio. Find a blog or site that is relevant to your targeted area and ask if they accept submissions (unpaid or paid) from new writers. You don't want to make free submissions a habit, but doing one or two for a reputable site to get you some clips and boost your credibility can be a decent trade-off. 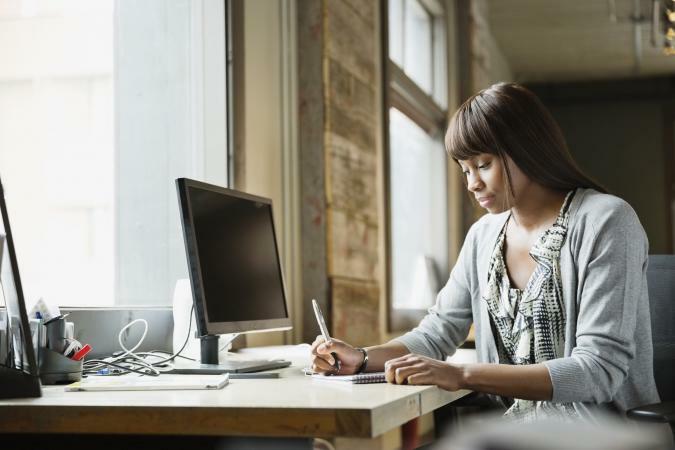 Consider signing up for work sites such as Upwork and Fiverr to compete for jobs with other freelancers. Many of these jobs are low-paying and the competition is high, but if you have the time to spend looking for the work you may be able to find jobs in your interest area that provide you with some usable clips. Craigslist can also be a source for these types of jobs. If you do write clips just for your portfolio, include a brief explanation of how the clip came to be. For example, you could write, "To demonstrate my skill with technical writing, I have prepared a piece for my portfolio on hooking up a wireless CCTV camera system for a commercial business." There are two main options for displaying your portfolio: creating your own personal website and using an account on a site dedicated to hosting portfolios for creative professionals. You can do both to widen your reach. There are a few additional ideas you may also want to consider. WordPress - The WordPress software for is free and there are hundreds of pre-made themes you can get for free. Or, you can splurge on a premium theme. These typically cost from $20 to $100 or more, depending on features. An all-in-one package through WordPress.com will allow you to set up your domain, hosting, WordPress download and theme in one place for minimal rates. Squarespace is $12 per month for a site with a Squarespace URL or $18 per month for a custom URL with additional premium features. Wix starts at $5 per month for their base plan that features Wix ads. Ad-free plans with additional options can cost up to $25 per month. Weebly's lowest plan is $5 per month and their highest is $25 per month. As with other similar sites, the lowest plan features site ads. The highest has a custom domain, no ads, and other higher-end options. The biggest advantage to running your own website is that you have complete control over how it looks and feels, and you can expand as you see fit in the future. The downside is that websites, particularly ones that use plugins and software such as WordPress, require regular maintenance. You will also need to promote your site so it shows up in search results. 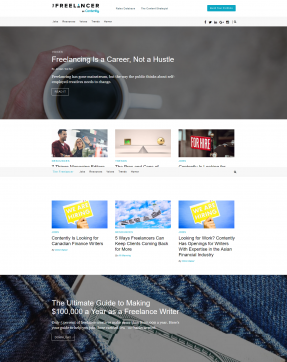 Contently.net is a free portfolio site that also includes some job boards for Contently work and resource information for writers. You can post unlimited articles on Contently and you receive a Contently-branded URL (i.e. firstnamelastname.contently.com). Clippings.me has a user-friendly interface that is mobile friendly and lets you track visits to your portfolio via Google Analytics. This site also includes some helpful articles on creating your portfolio and finding work. The free plan allows you to post up to ten clips. A premium plan that allows unlimited clips costs $5.99 per month. Both plans are branded with Clippings.me information. For a brand-free plan, you can pay $11.99 per month. Pressfolios creates professional writer portfolios for a monthly fee. You can try the site out for 14 days for free. After that, it's $9.99/month for up to 250 stories with a yourname.presstfolio.com domain or $14.99 for unlimited articles, a non-branded Pressfolios URL, and access viewer statistics data. Pressfolio's target audience is journalists although you can feature other types of writing in your portfolio. Muck Rack is another site targeted to journalists although you are not limited to just that type of writing to have a free portfolio. The interface is clean and professional, though you are not able to do much customizing. The free account provides some useful features such as the ability to track your articles online and set up news alerts. Journo Portfolio provides many customizable options with different tiered plans to fit your needs. The free plan allows for ten articles per month and a firstnamelastname.journoportfolio.com domain. For $5 per month you can post unlimited articles and for $10 per month, you can have a custom domain name with HTTPS, backups and a password-protected portfolio. The advantage of using a portfolio site are that these sites are generally easy to use and require no web design or coding knowledge. They also tend to be trafficked by people who are actively looking to hire writers. The drawback is that, unlike with your own personal site, you may find yourself limited in how you can to display your work. You also may find that some sites have additional fees for available features that are not included in the free versions. There are other avenues to showcase your work that you could consider either as a stand-alone portfolio or in conjunction with any of the self-hosted and portfolio account sites. LinkedIn - Any freelancer searching for work should have a well-written and regularly updated LinkedIn profile. You can use your profile as a portfolio as well, and it's 100% free. Medium - This free-to-use blog site is popular with bloggers and writers and can serve as a very simple portfolio. Writers get their own 'home page' where all their articles on Medium can be accessed. The site doesn't offer many options to include a detailed biography and other needed features, but if you're just starting out it's an economical option. Facebook - Many writers have a Facebook page for their business and you can include links to your articles as posts on your page. While it doesn't operate the same as a standard portfolio, maintaining a business page and regularly putting your articles out on social media can show prospective clients that you are social media-savvy. Pinterest - You wouldn't normally think of Pinterest as a portfolio site option, but you can use it creatively to post your articles with a visual flair. It's a fun additional way to showcase your work that, like Facebook, shows prospects that you have strong social media skills. Make sure when you begin your portfolio that you start with a specific goal in mind. It's easy to get lost in trying to decide what clips to post if you don't have a clear sense of direction. If you're brand new, remember that you don't have to stick with the niche you choose now forever! Just focus on choosing a target market to organize your portfolio around to present yourself as a professional writer and let your writing career flow from there. Most important of all, remember to frequently update and revise your portfolio as your career flourishes and changes over time.